White Rabbit Express is the quick, easy way to buy from Japan. Shop any store — we’ll buy and ship the items to you. Let's say you find an item you want to order from Amazon Japan, but they won't ship to your country. Just use the link to that item on our order form and you'll be able to place an order with us instead. We'll buy the item on your behalf and ship to our address in Japan. Once it arrives we charge for shipping to you and send to your address. Here's how it works in a bit more detail. Tell us what to buy. Head over to our easy-to-use cart and add the items you'd like us to buy. You will see your quote instantly with a breakdown of our fees on the cart page. To add an item to your cart first simply copy-paste the direct URL to the item you wish to buy. Product Name This can be in Japanese or English. Size, Color, Description OPTIONAL. If your item comes in multiple colors, sizes or other features leave those details here. Quantity to Buy The amount of the item you wish to buy. Item price in Japanese Yen The cost of one of the item with Japanese Sales tax. If you don't know the actual price just enter a number you do know and we will correct it later. If the price doesn't include tax multiply the total by 1.08 to get the tax inclusive price. Once the form is complete click "Add item to cart". If you want to add additional items you can then click the green "Add another item" button. Once your order is complete you can review your order on the My Cart page, add or delete items and also pre-approve domestic shipping. Once you are happy with your order it is time to checkout! Once you are ready to checkout you can hit the "Checkout" button. If you already have an account you can sign in or if you are a new customer you can register an account straight away! Once logged in you select your payment method. Paypal, Credit Card (click "add a new card" or select one you already saved) or Alipay. Then your Ship-to Country (this is used to calculate your final shipping costs once your item arrives, we do not need your full shipping address at this stage). Read over our Terms of Service, tick the box and then hit "Place your order". Order complete! Now it's our turn. We can not review your order until the entire process has been completed and the order submitted via the "Place your order" button. If you have questions regarding the item or your order please email us directly. When placing an order you only authorise a payment to White Rabbit and we will capture payment once we have confirmed the details of the order. Once your order is submitted we will review your order, when we have confirmed all costs are correct we will capture payment and purchase your items. We may need to adjust your order in cases such as sales tax not being included, domestic shipping from the store, payment fees etc. If we had to adjust your order we will contact you to request approval for the new charges. To speed up this process we suggest using pre-approved domestic shipping in case the store charges additional fees. Most orders will only have a domestic shipping fee and no other costs. If you receive an order adjustment notification you can approve the difference by visiting your order page and submitting the new payment. Once your items arrive we'll send you an email. To arrange shipment head over to your mailbox. Select the package you wish to ship or you can choose to instead consolidate multiple items into one shipment. If you choose to consolidate your packages we will repack the items and inform you via email when the package is ready to be shipped, you can then arrange shipment like a normal package. 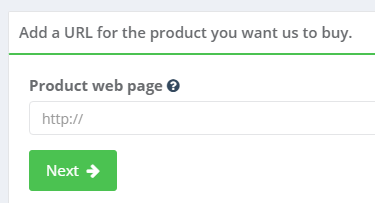 Shipping items is easy, just select "Ship single package" on the right of the page next to the package you want to ship. 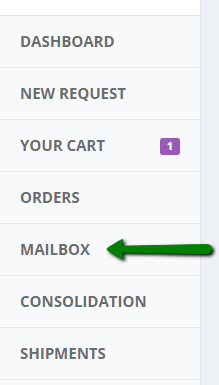 Enter your shipping address on the following page (our system will automatically remember the last address you used). Submit your address, and you will receive an instant quote for all available shipping methods. Select your preferred shipping method, pay and then submit the order. We'll ship the package out as soon as possible but you can view the status of all shipments from your shipments page including your tracking number! Always allow a few hours for your tracking number to activate once you have been notified of a package being sent.